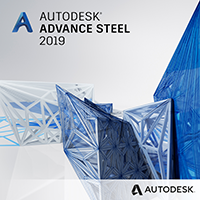 Part of the Stair and Railing Designer in the Steel Collection, for Autodesk® Advance Steel, the Ball Post Railing create Ball Post Railing systems based on industry standards or to bespoke configurations. Several supplier's libraries are pre-configured and users have the ability to edit and save to quickly build libraries to suit any configuration for any region. 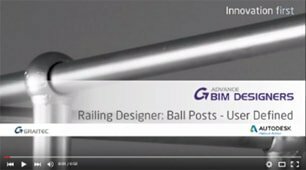 Rapidly develop all aspects of ball post railings on straight or curved lines or elements, modify kickrail features, and adjust post layouts and even fine tune the post connection as required. From the Catalog choose the required ball post system manufacturer or create railing layouts with posts, connections, top and middle railings and even specify the ball sizes, as you work to your own exacting standards. 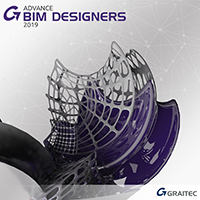 Precise post set-out enables fast results enabling post layouts to be fine-tuned as required including defining distance from the start/end points. Individual posts can be adjusted independently to suit user-specific situations. 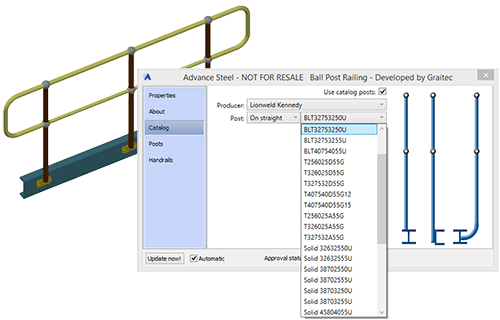 Create ball post railings on straight or curved elements following the exact radius or curve of the selected member of polyline. 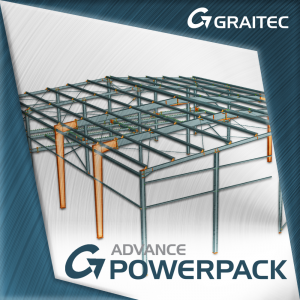 Modify the base plate shape, size and bolts as you choose whether the base plate will be rectangular, round, triangular or welded. Modify base plate parameters, chamfer size, the number of bolts required and the distance between holes. The top rail section, the distance from the base and its horizontal offset can all be controlled with simple options. 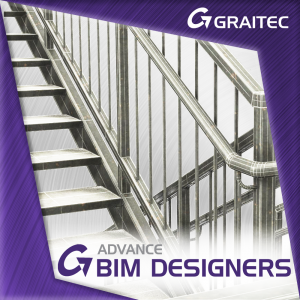 Continuous handrails with different orientation on a sloped or horizontal beam are automatically connected with elbows and the weld size and the radius for the top and middle handrails can be adjusted as required.